With SIS Pitches continuing to see unrivalled success in the provision of hybrid sport surfaces, we are very pleased to now be able to target the golf market! Using innovative technology which is anything but par, we are able to make golfing facilities pitch perfect! SIS Pitches’ revolutionary technology has been trialled at four prestigious clubs in the UK, including Long Ashton Golf Club in Bristol. 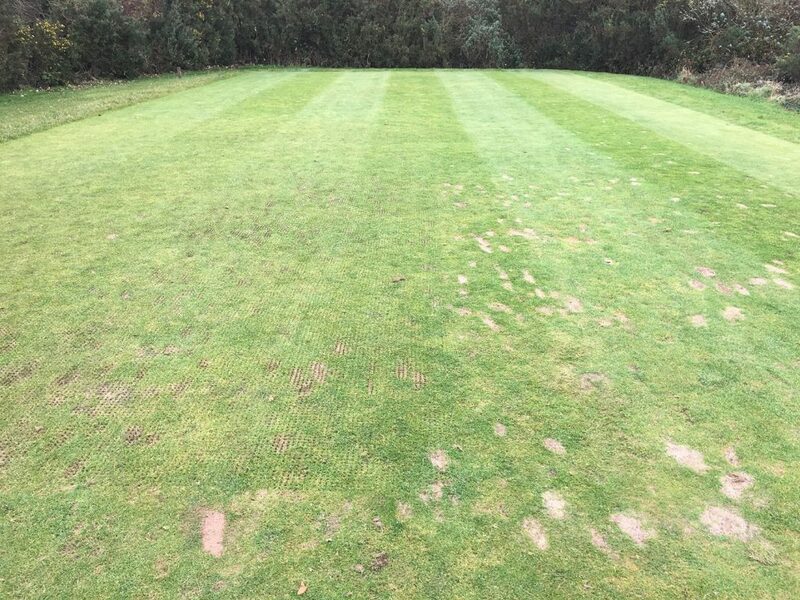 As part of the trial at Long Ashton Golf Club, SISGrass Lite was installed at different spacings onto the tee on the par 3 13th. SISGrass Lite has fibres stitched at a depth of 90mm, with 10mm of fibre above the surface. This means the product can be stitched into shallower, partly constructed pitch surface profiles, benefiting golfers by giving them a more consistent surface, leading to better playability.